Happy Canada Day everyone! 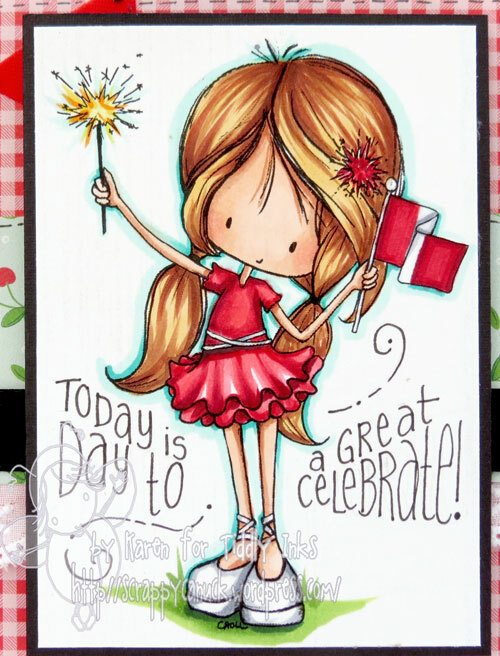 Whether you are in Canada or not, it’s a great day to celebrate! Given that I happen to be a “scrappy Canuck”, I couldn’t let the holiday pass without at least a little bit of craftiness, so I decided to use the super cute new stamp from Tiddly Inks called “Patriotic Wryn” for a little card. This version of Wryn actually comes as a bonus image when you purchase the digi called Wryn The BBQ Queen (and I’ll have that one to show you later in the week). The generic flag makes her perfect for celebrating all sorts of events – whether it’s the celebration of a country, a sports team, or even a birthday – just pick your colours and you are set to go! I grabbed some Doodlebug paper and some May Arts eyelet and velvet ribbon to finish off this red and white bonanza! I am off to celebrate with a bit of BBQing myself, so if you are a fellow Canadian, I hope you have the chance to put your feet up today and take a few minutes to give thanks for this great country we call home. And to everyone else, go ahead and have some poutine on us! On Canada Day, the calories don’t count! 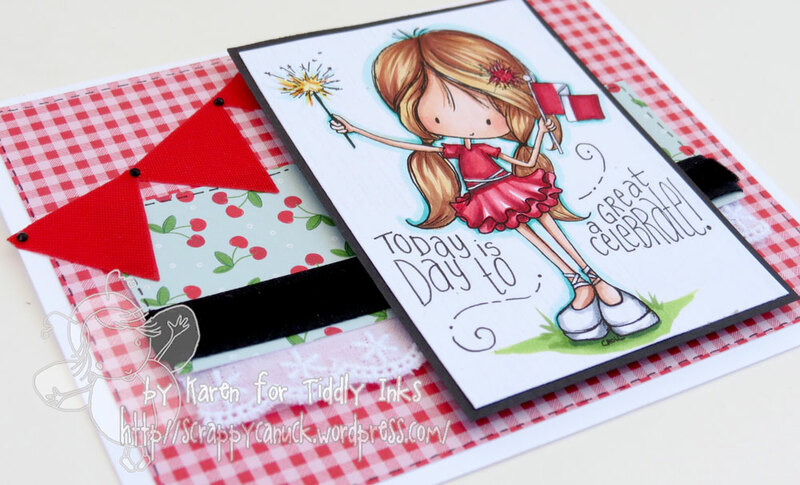 This entry was posted in Cards, May Arts Ribbon, Tiddly Inks and tagged canada day, Doodlebug, May Arts, tiddly inks by Scrappy Canuck. Bookmark the permalink.